It’s hard to believe that camp is almost over and school will be starting soon. The saying “time flies when you’re having fun” was in full effect this summer. As we reflect back over the Tribe meeting, fun field days, tepee nights and Ice Cream at Jane’s house, we sometimes overlook the lessons learned. 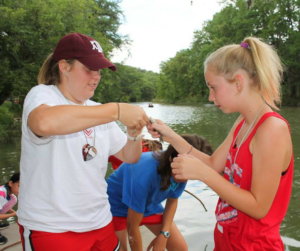 The changes in growth of campers is heavily influenced by their summer camp experience. Here’s four things your camper learned this summer. Learning is an important aspect of camp life. Whether campers are learning new skills or perfecting old ones, each learning aspect aid campers in gaining self-confidence. According to a study of conducted by Philliber Research Associates, 70 percent of parents report that their child gained self-confidence while at camp. 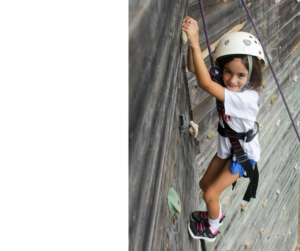 At camp, obstacles can be seen as challenges that kids can overcome. Each challenge allow campers to walk away with a sense of pride, confidence and self-reliance. It’s no secret that a girl’s best friends will be her camp friends. However, for some people making friends comes naturally but for others this is not the case. Heart O’ the Hills offers the atmosphere to make friends in a fun, organized, non-competitive setting. Counselors at Heart O’ the Hills aid in fostering those friendships and provide assistance to campers who may struggle to make friends. A study conducted by the American Camp Association highlighted that Ninety-six percent of the youths said camp helped them make new friends. With campers and counselors from all over the world, friendships will sure be global. “The average 8 to 10 year old spends nearly eight hours a day with a variety of different media, and older teenagers spend more than 11 hours per day with different media” according to statistics from Kaiser Family Foundation. Heart O’ the Hills has a no technology policy. When technology is not in the picture, campers improve their ability to relate to others face-to-face. There is no constant vibrating or dinging of notification from texts, tweets or updates. Camp allows campers to disconnect and grow as individuals without worrying about how many followers or how many likes they did/didn’t get. The goal for many campers is to simply have fun. That is why The Heart encourage campers to try new things. Having the opportunity to try new things in a safe and encouraging atmosphere is exhilarating. At camp, success is encouraged and resilience after failure is supported. 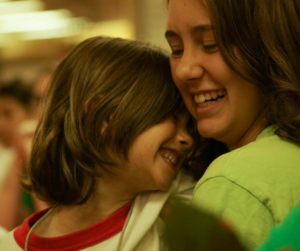 In doing so, campers develop a sense of personal pride and confidence for facing adversity in life. I can hardly wait to see Jessie and to hear about all of her experiences, new friends, challenges, etc. first question I have for her is, do you want to go back next year? Thank you all for all that you do for these girls. I have enjoyed watching the videos of the older girls and how much The Heart has meant to them over the years. I want that for Jessie.